Can you share this event with the homeschool community? 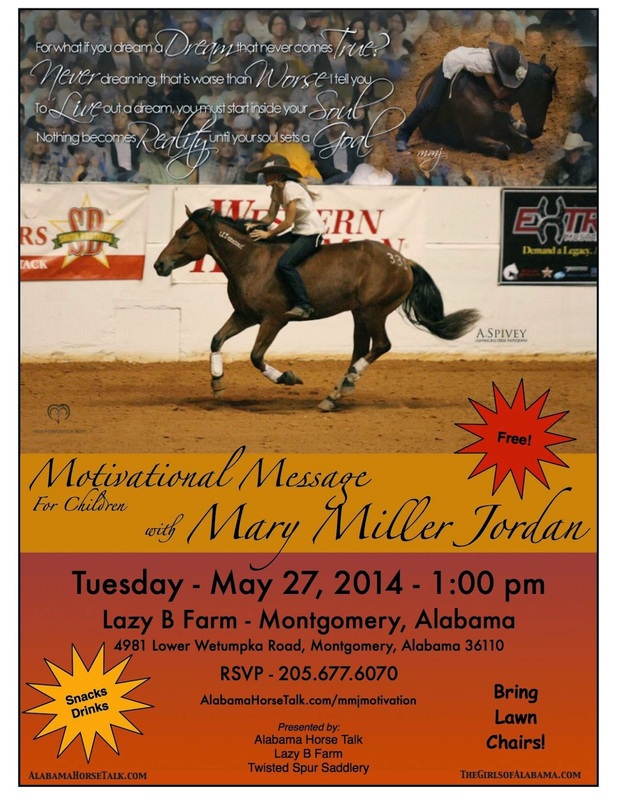 Mary Miller Jordan, a world-famous horseman, is coming to Montgomery on May 27, 1:00 pm, at Lazy B Farm to share a special Motivational Message with children. The event was organized due to my son's recent bullying experience in public school and with the hope of encouraging him. He is now homeschooled. She is doing the event free of charge, but parking is limited. Please have folks RSVP to Becca Salamone at 205-677-6070. Thank you!